China has in recent years been at the forefront of new forms of credit. Most important are telephone-based systems for payments through Alipay and other means. It has also been very aggressive about unleashing non-standard loans through the Shadow Market. Unfortunately, regulations always seem a step behind what people do on the ground, often resulting in ponzi schemes and other problematic forms of finance. Not surprisingly, Bitcoin and other blockchain-based systems appear to have fallen into a similar trap, which explains why we now have a government backlash against them. Is this correct? Yes. China cannot afford to lose the faith of its consumers in new forms of financial interaction—although they are flirting dangerously close through the widespread adoption of investments in the form of wealth management products. However, given the size of the country’s population, and Beijing’s determination to be on the cutting edge of technology, I would expect new forms of blockchain to become dominate within a short period of time, possibly faster than the adoption rate in the West. Now, however, is not the time. China mines more Bitcoin than any other country. Several distant regions and provinces, including Xinjiang, Inner Mongolia, and Sichuan, have become miners’ havens because of cheaper electricity and cooler weather. Because of this, some miners also started to speak out on the global stage and influence some of the key decisions and strive for consensus around core cryptocurrency technologies. 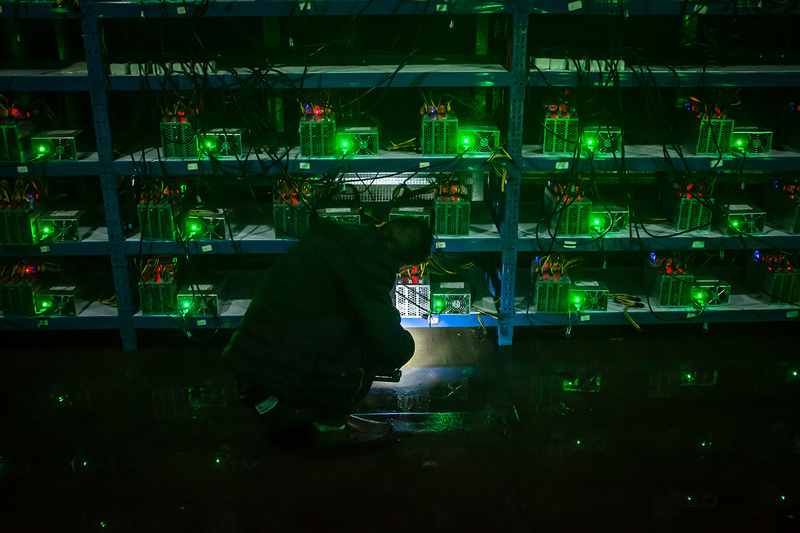 The recent harsh crackdown on Bitcoin exchanges by The People’s Bank of China has caused the global cryptocurrency community to regard Chinese authorities as the enemy and develop empathy for Chinese Bitcoin miners. On the one hand, the crackdown was spurred by concerns that, if nothing were done, there would be a stronger reaction at the imminent 19th Party Congress. On the other hand, Chinese banking regulators long have had valid concerns about decentralized technologies which, sooner or later, could threaten their control and power. They also know a crackdown at this stage could generate the least backlash, before it’s too late. It remains to be seen if Beijing someday will regret the crackdown for having undermined the potential to lead the world in this sector. How about building China’s own sovereign cryptocurrency from the top down? While intriguing, this idea is not totally feasible, because any cryptocurrency runs on top of blockchain technology, which, by nature, can’t work in a centralized way. Blockchain needs to be open source and relies on social consensus to work. If there’s no consensus, then nobody even downloads the software. Open source is another key building block of any cryptocurrency. Imagine a China with a homegrown blockchain that is open source like Bitcoin—global miners couldn’t be prevented from joining and harvesting the currency. If it’s not open sourced, then nobody from other countries would trust it and mine it. What about a Bitcoin for inside China’s Great Firewall? Why bother using blockchain at all? Just take over WeChat and Alipay to issue as much money as Bitcoin ever did. I think it’s more likely that China will allow Bitcoin exchanges to reopen once there are stricter rules and systems controlling trading in place. I would expect a whitelist-style system for exchanges, where only a few exchanges with government licenses are allowed to operate and customers must submit identity verification before trading. Bitcoin is trackable enough that, as long as it’s given the access it needs by exchanges, China’s government will ultimately see resumed trading as a positive. Bitcoin and other cryptocurrencies like Ethereum are additional global currency markets that China and its citizens can strongly influence (and profit from). Whatever happens to Bitcoin, there’s no doubt that blockchain is a part of China’s future. The government may produce its own token, but it doesn’t have a great track record with that sort of thing (remember those state-owned search engines the government was going to use to take down Baidu?). There are already a ton of domestic blockchain projects, so I would expect one or more of these to ultimately receive government support of some sort. The most promising domestic blockchain project at the moment, NEO, has seen its value increase massively over the past six months and has already attracted a ton of interest from foreign investors. NEO, and other domestic blockchain projects, will include KYC (Know Your Customer) and other government-friendly features up-front because they’re familiar with China’s regulatory environment. So even if China does ban Bitcoin forever, I would expect it to embrace one or more of these domestic alternatives. They have the potential to generate a lot of wealth for China, and as long as the government can reasonably track where all that money is going, I think it will find a way to allow some sort of cryptocurrency market to exist domestically.